Wildlight is hosting its first-ever FLOCO Festival to highlight Florida Low country living with a fun and engaging event for all ages. The celebrations start in the morning with a one-mile fun run, followed by a 5K. The FLOCO festival begins at 2 p.m. Everyone is invited to take part in the afternoon festival filled with food, fun and entertainment, featuring locally-made goods, family-friendly activities, food trucks and live music from some of the area’s best bands. 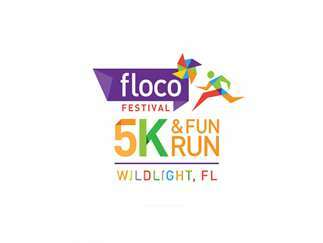 Saturday, March 23, 2019 Wildlight 5k: 8:00 a.m.One-mile fun run: 9:00 a.m.FLOCO Festival: 2:00 p.m. – 9:00 p.m.Registration for the 5K and Fun Run is available online at https://www.signmeup.com/site/online-event-registration/128804, in person at any of the 1st Place Sports stores, or on-site the morning of the run.From now until March 9, registration for the 5K is $20 and the Fun Run is $10. Starting March 10 until March 23, registration for the 5K is $25 the Fun Run is $15.Participation in the 5K or Fun Run is not necessary to attend the FLOCO festival.Food trucks such as Cackylacky’s, Lobster Roll, Not Your Daddy’s Ribs, Indulge, Coldstone, Kona Ice and Sunshine Grinds will be on-site for the festival. Band line-up:	2-3 p.m. The Mix Band	3:15-4:15 p.m. Fire Water Tent Revival	4:30-5:30 p.m. Sam Williams 6-7 p.m. Jimmy Parrish and the Waves 7:30-9 p.m. North of 40.